Terrence McNally, a few years after graduating Harvard, left his role as founding director of a Boston secondary school, for Los Angeles and the entertainment industry in search of larger audiences. After twenty years as an actor, director, screenwriter (Earth Girls Are Easy — starring Geena Davis, Jeff Goldblum, Jim Carrey and Damon Wayans), songwriter and record producer (classic novelty songs and Julie Brown’s Goddess in Progress, #4 EP in the Village Voices 1985 Music Critics Poll), he wasn’t fulfilling his vision: helping to create a world that just might work. His experience and aspiration come together now in consulting and media work. 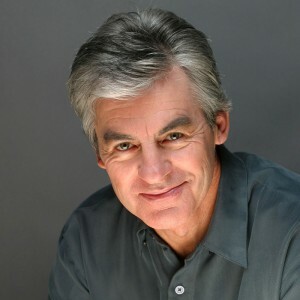 As a speaker, writer, consultant, and coach, McNally uses all he learned as a teacher and in the entertainment industry to help foundations, non-profits, public agencies, and progressive businesses communicate more strategically. He offers expertise in media training, presentation skills, message development, and marketing. His most popular work focuses on storytelling and narrative, as he helps individuals and organizations deliver their best messages in person, in writing, or through the media. Clients include the cities of San Jose and Berkeley, League of California Cities, Annenberg Foundation, Robert Wood Johnson Foundation, MacArthur Foundation, Nemours Foundation, Pfizer Foundation, NASA, FINRA, CDC/Centers for Disease Control, Urban Library Council, Bank Of America Neighborhood Excellence Initiative, CERES, Friends Of The Earth, Greenpeace USA, League of Conservation Voters, US Climate Action Network, Naighborworks, Glaxo-SmithKline Patient Advocates, Volunteers Of America, Intel Corporation, Interface Flooring, and Herman Miller. McNally hosts and produces the monthly podcast Disruptive for Harvard’s Wyss Institute for Biologically Inspired Engineering. On his weekly radio show on the Progressive Voices Network on TuneIn.com, podcast at aworldthatjustmightwork.com, McNally engages visionary individuals, ideas, and actions. One week Michael Lewis explains the Wall Street crash, the next Father Greg Boyle and one of the thousands of gang members he’s hired at LA’s Homeboy Industries offer hope. Guests include Temple Grandin, Nicholas Kristof, Cornel West, Doris Kearns Goodwin, Craig Venter, Arianna Huffington and Robert Wright. Terrence makes sure complex and important ideas make sense and matter to listeners. All based on the fact that he believes we can do better, and wants to find out how. Print interviews appear at AlterNet.org. I was already comfortable at the front of a room, but in just a couple of hours, Andy helped me (and about 200 other trainees) think differently about the craft of presenting, and I know we walked away better presenters for it.